Did you know you can hear the optical stylings of Berlin Optical Expressions’ own Dr. Mark Leipert, O.D., and Optician Tim Delworth every Friday and Saturday morning on WDEV? It’s true! You can hear Dr. Leipert Friday mornings at 6:35am, and Tim Delworth Saturdays at 7:50am, blogging radio-style and brining you the latest news, deep cuts, information, and insights from the worlds of optometry, opticianry, and beyond. Your BOE radio crew is laser focused on professional eye care and exceptional customer service 6 days a week at our Berlin Mall location. That doesn’t give us a lot of time to reach out to the wider Central Vermont community; letting them know about the wealth of eye care services we offer, and extending the conversations we have in the office every day with our patients, to include the vast Vermont radio audience. Recently we’ve waxed optometric about different choices of lenses - from basic tinted, polarized, to mirror coatings. Transition or photochromic lenses that adapt to light, changing from dark to clear. Or the latest trends in contacts as we’re seeing more and more patients switching to the daily disposables from the traditional extended wear. Listen live and hear us talk about basic eye care and eye health, new brands of frames and sunglasses, new exam technologies and techniques, and even sales and specials we’re running at the store. 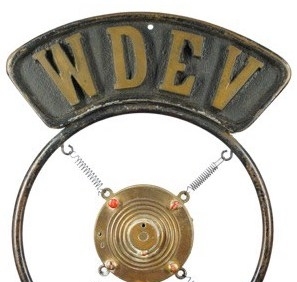 You can find WDEV at FM 96.1, 96.5, 98.3, 101.9 and AM 550. Just like us, WDEV is locally owned and operated and have been bringing you unique and relevant programming since 1931; which is a little longer than we’ve been around, but we serve the same great Central Vermont community, with the same commitment to outstanding, responsible service for your eyes and your ears. Schedule your annual eye exam today, or just come by and join the conversation. Tell us you heard us on the radio, or recommend things we should talk about. We wouldn't be having these conversations without you! Tune in and hear us Friday mornings at 6:35am, and Saturdays at 7:50am. Your eyes will thank you!